Reading Teen is very excited to be taking part in the cover reveal of this gorgeous new book. 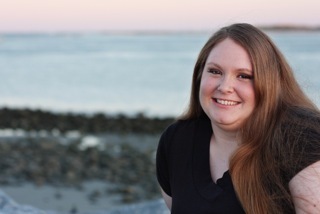 Since the age of three, sixteen-year-old Evelyn Winters has trained to be Daughter of the People in the underwater utopia known as Elysium. Slected from hundreds of children for her ideal genes, all her life she's believed that everything is perfect. Her world. Her people. The law. But when Gavin Hunter, a Surface Dweller, accidentally stumbles into Elysium's secluded little world, Evelyn comes to a startling realization: Everything she knows is a lie. Her mind and body aren't under her own control. And the person she knows as Mother is a monster. Jessica (J.A.) 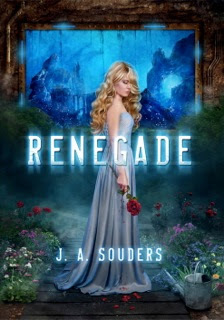 Souders author of Renegade, is giving away an ARC of RENEGADE (when available). but to tide you over in the meantime, she's also giving away a copy of any 1 YA book available at the book depository. Since she'll be buying it at the book depository, the contest is international, as long as book depository delivers to your country. To enter you'll have to have visited the six blogs who posted the puzzle pieces the Friday before, because each blog also posted a word.You 'll have to collect those six words to enter the contest, but if you unscramble them in the right order, you'll get an extra entry. The form on this site is the same form at the other four revealing the cover today. So you can only enter ONCE, no matter what blog you enter through. Jessica will answer any comments you leave but no entries will be accepted through the comments, you need to enter through the form. The contest will start today, Jan. 23 and ends Monday, Jan. 30. The correct tagline will be announced with the contest winner on Jessica's blog (jasouders.blogspot.com) that Monday. You can also get extra entries (for a grand total of 5 entries) for spreading the word: tweeting using the #renegade hashtag, blogging, facebooking, etc. I like the cover for he most part, but I keep getting caught up on the girl's face. Maybe it is just because I prefer when the face isn't really visible? I don't know. I usually don't like when the face is visible either, but I think this one is covered by her hair enough that I do like it. I think it's really pretty! I haven't heard of this book before, it sounds really cool, I love aquatic-themed books! and the cover is gorgeous! I hadn't heard of it before this reveal, but I think it looks really good too! Gorgeous cover! I've been seeing this one around the blogosphere, and it looks interesting. I'll be keeping my eyes peeled for you guys' review!